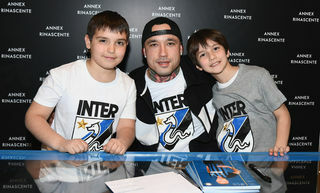 Radja Nainggolan was born in Antwerp, Belgium on 4 May 1988, and he also has Indonesian heritage. He plays in midfield and his dynamism, tenacity and power led to him being nicknamed Ninja. He started out for the Tubantia Borgerhout youth sides before continuing at Germinal Beerschot. In 2005, he was noticed by Piacenza and started to play for their youth teams. Two years later, he became a regular member of the first team squad and then a starter. Between 2007 and 2009 he played for the Belgium Under-21 side before making his senior debut. On 27 January 2010 he moved to Cagliari on loan with a clause to make the deal permanent and he featured in Serie A for the first time. In 2014, he moved to Roma on loan with the Giallorossi holding the right to buy the other 50 per cent of his registration rights. He immediately made his full debut in the Coppa Italia before playing in the Champions League. At the end of the season, Roma took up their right to buy the other 50 per cent of his rights. After long negotiations, Roma’s purchase of the other 50 per cent of his rights was made official in 2015. In 2016, he was named in the Belgium squad for Euro 2016 in France. After not being called up for the 2018 World Cup in Russia, he announced his international retirement. 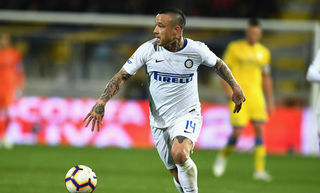 On 1 July 2018, he was signed by Inter on a permanent basis, penning a four-year contract. 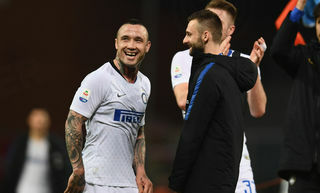 Nainggolan: "We just need to think about ourselves"